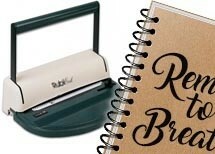 If you like to DIY notebooks, journals, photo crafts, and more (like we do!) then check out the products below. Several people on our staff love to craft, and have worked together to put together the below product line that is specifically geared toward crafters like them. Binding rings are an absolute joy! They come in many sizes and even in either metal or plastic. 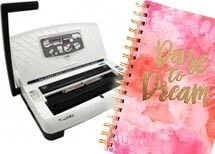 They can be used to create journals, notebooks, swatches, and other crafts... and they can even be used for organizing household items, like hair ties, cookie cutters, and anything else you can imagine. 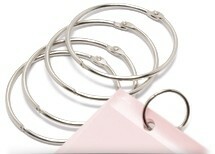 With binding rings, the craft opportunities are truly endless! Other binding options are also available, including wire binding, coil spiral binding, and comb plastic binding. 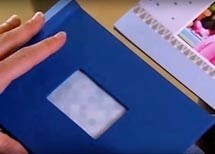 In these categories you will find the binding supplies you need, as well as low-volume binding machines to go with them. If you craft on more of a business level, rather than personal, consider checkout our our main binding category, as this lists the full selection of machines and supplies available. You can also call us at (866)537-2244 (866)537-2244 and we will help you choose the best machine for your specific needs. Plus, if you have been looking for a fast and simple DIY photobook that lets you customize your pages completely, then check out our Pinchbook™ hard covers. 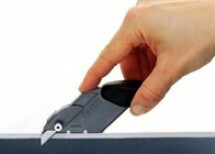 They are incredibly innovative and easy-to-bind without any tools or machines. Many of our staff members have used these in their personal lives for memory books and remembrance albums. Looking to add a little "pop" to your paper crafts? Check out our fusing foil below! 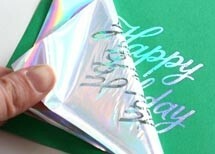 These stunning foils stick to dry copier toner with just the heat applied by a compatible laminator. With our foil fusing products, you don't have to send your wedding invitations to an expensive print shop to get the elegant foiled look. And you can make stand-out business cards, or wall art prints, and so much more...anything your heart can imagine!